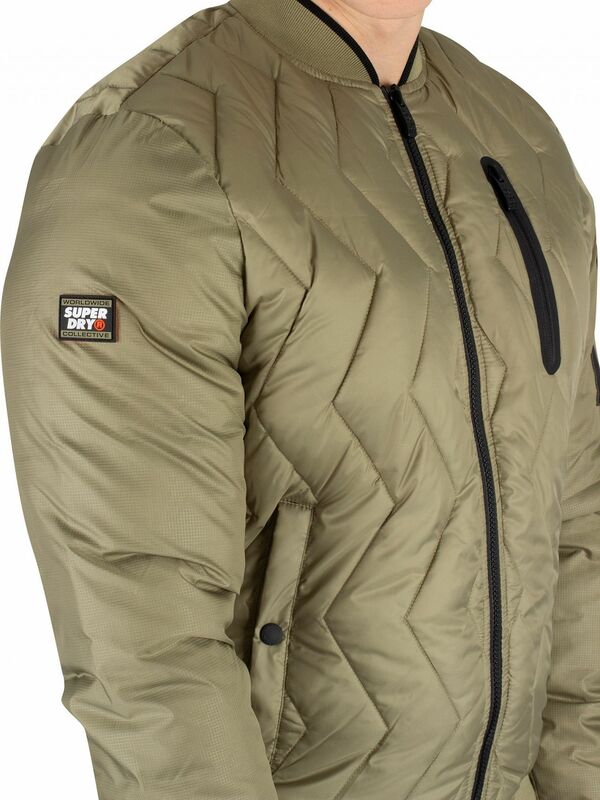 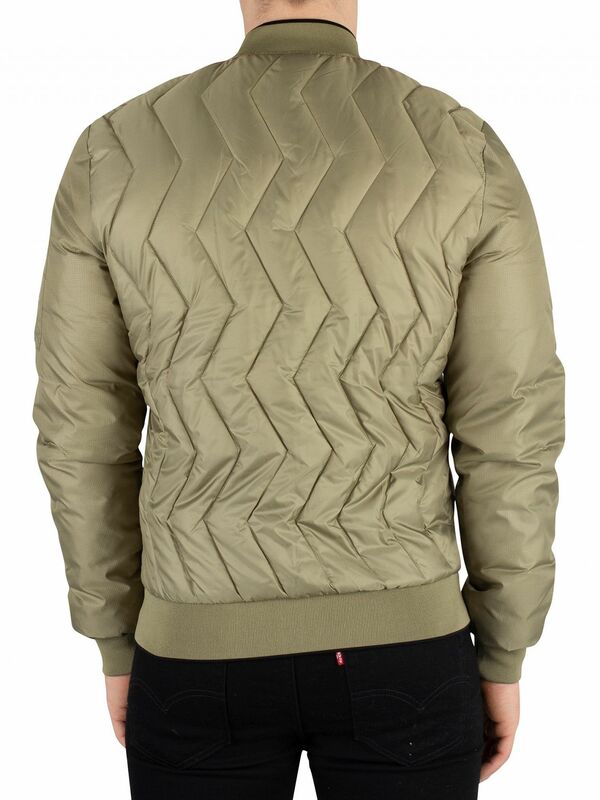 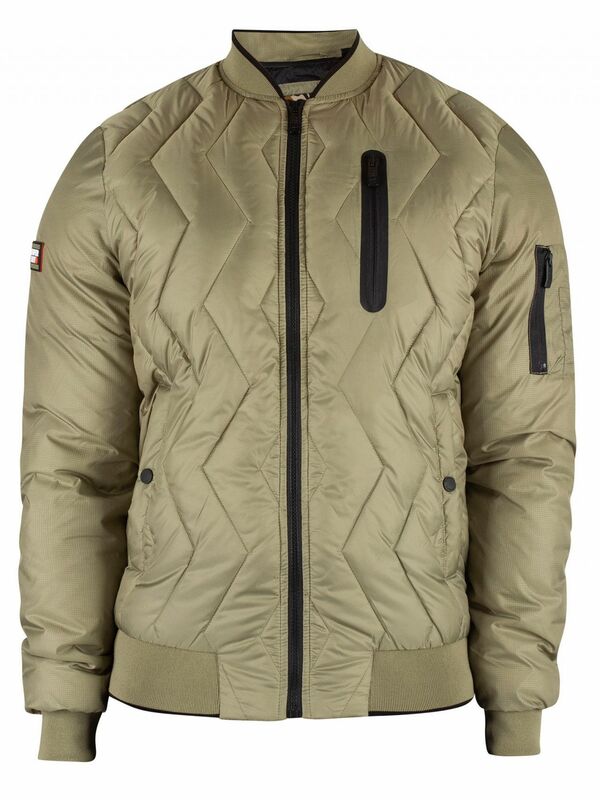 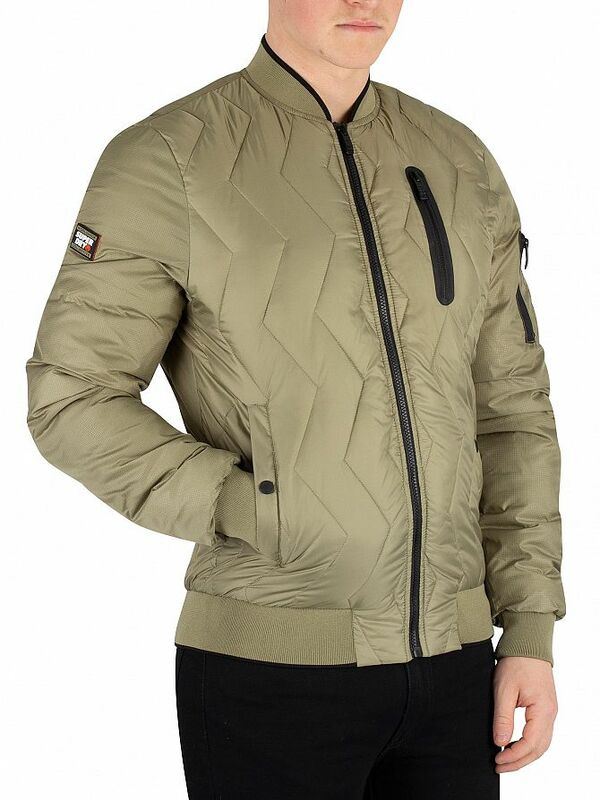 The Zig Zag Quilt Bomber Jacket from Superdry comes in Washed Khaki colour, featuring university neck and zip closure. 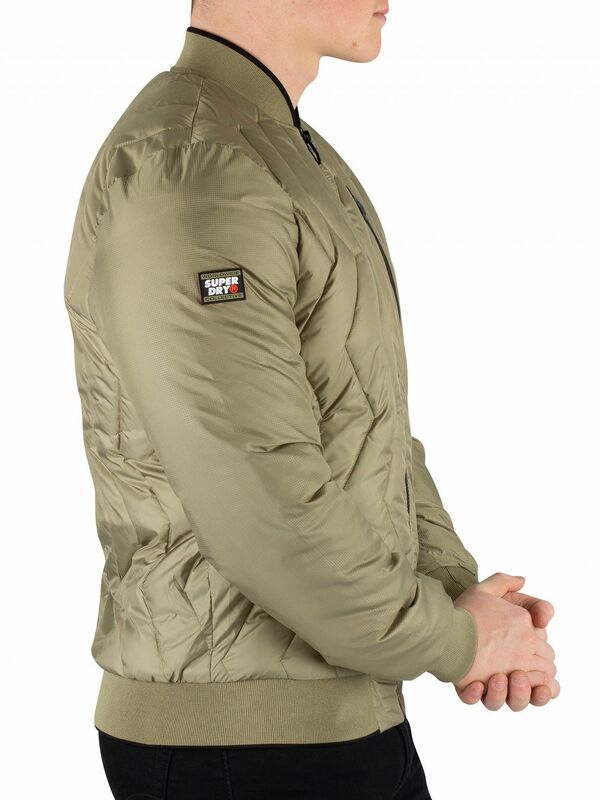 Coming with buttoned pockets and zip chest pocket, this jacket features elasticated cuffs and hem. 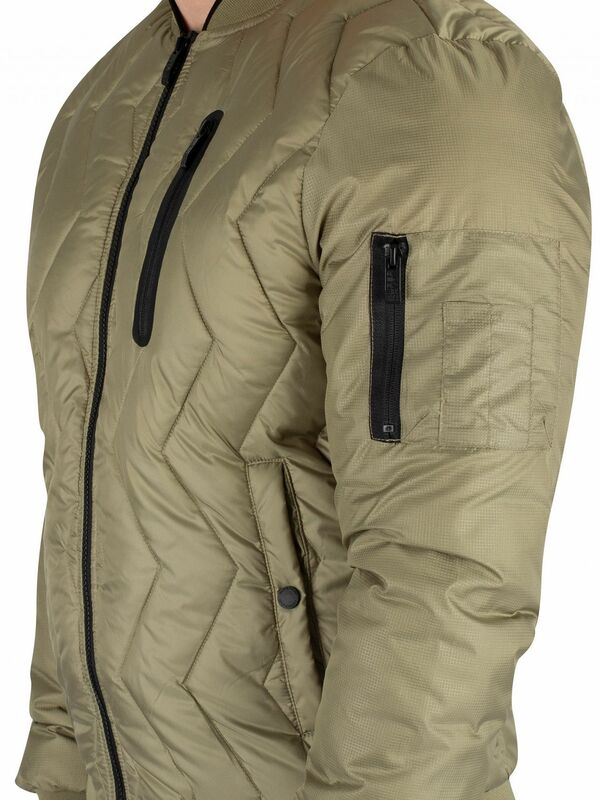 Along with branded buttons, this jacket sports a branded badge on right sleeve.